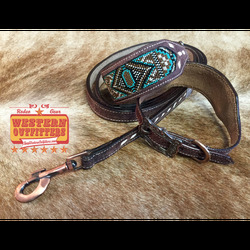 Dark rough out leather dog collar featuring turquoise, gold, white and black inlay beading, white buckstitch, copper buckle and hardware. 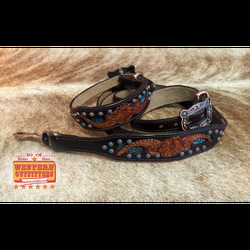 Dog Collar comes with matching 5ft leather leash. 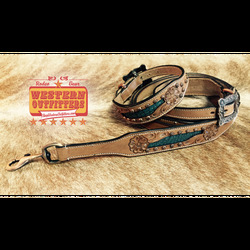 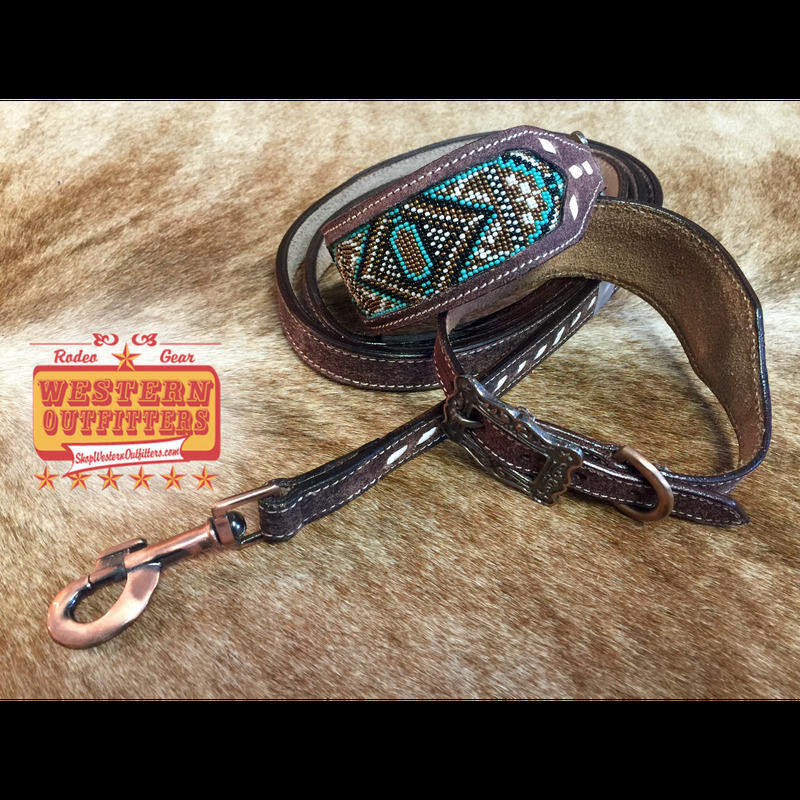 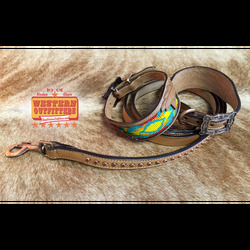 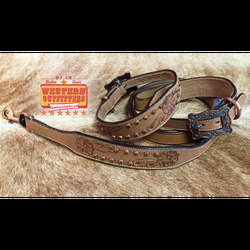 Dark rough out leather dog collar featuring turquoise, gold, white and black inlay beading, white buck stitch, copper buckle and hardware. 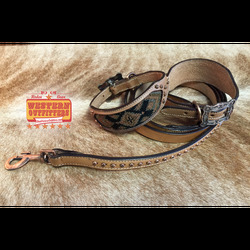 Dog Collar comes with matching 5ft leather leash.